When you establish a trust, you name someone to be the trustee. A trustee does what you do right now with your financial affairs – collect income, pay bills and taxes, save and invest for the future, buy and sell assets, provide for your loved ones, keep accurate records, and generally keep things organized and in good order. You can be trustee of your revocable living trust. If you are married, your spouse can be co-trustee. Naming someone else to be co-trustee with you helps them become familiar with your trust, allows them to learn firsthand how you want the trust to operate, and lets you evaluate the co-trustee’s abilities. If you have a revocable living trust, you can be your own trustee. If you are married, your spouse can be trustee with you. This way, if either of you become incapacitated or die, the other can continue to handle your financial affairs without interruption. Most married couples who own assets together, especially those who have been married for some time, are usually co-trustees. You don’t have to be your own trustee. Some people choose an adult son or daughter, a trusted friend or another relative. Some like having the experience and investment skills of a professional or corporate trustee (e.g., a bank trust department or trust company). 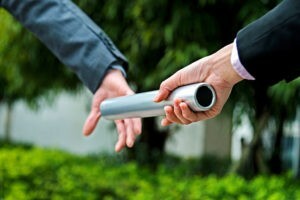 Naming someone else as trustee or co-trustee with you does not mean you lose control. The trustee you name must follow the instructions in your trust and report to you. You can even replace your trustee should you change your mind. You may be elderly, widowed, and/or in declining health and have no children or other trusted relatives living nearby. Or your candidates may not have the time or ability to manage your trust. You may simply not have the time, desire or experience to manage your investments by yourself. Also, certain irrevocable trusts will not allow you to be trustee due to restrictions in the tax laws. In these situations, a professional or corporate trustee may be exactly what you need: they have the experience, time and resources to manage your trust and help you meet your investment goals. We can help you select, educate, and advise your successor trustees so they will have support and know what to do next to carry out your wishes. Give us a call today (913) 871-2188.